So, against what I originally thought were heavy odds, I managed the month of January without any booze. How was it then, I hear you cry? Was I crawling up the walls, snapping at my friends and family and kicking the dog? I have been trying to find an explanation to it all really and this is the best way I can describe it. It is like trying to run a mile. After 400 metres you have a stitch and think you are never going to make it but after 800 metres, it somehow gets easier. By the time you see the finishing line, you feel you can go further. The first week was tricky. I really struggled on the first Sunday where, in my life, red wine with dinner is standard. Thereafter, once the craving for the habit, rather than alcohol, passed, it was multiple times easier than I imagined. It helped that I didn’t go in any pubs as I couldn’t see the point. I also got rid of any booze at home and once it was out of sight, it was generally, out of mind. Well, I have lost a bit weight and I have definitely been sprightlier on my dog walks. I have slept better but I have had some weird dreams. Presumably this was as my brain got used to not having alcohol in the blood. I have also realised that my alcohol intake was based on habit rather than a craving to be drunk. It helps that I had also reduced alcohol dramatically before a busy December. That and the fact it has been a while since I have actually liked being drunk. The reason I don’t like being drunk as it feels me with fear about how bad I will feel in the following days. On the few times I have been drunk in the last year, it has come with a sense of dread about a wasted day to follow. I am not sure where I will go from here. 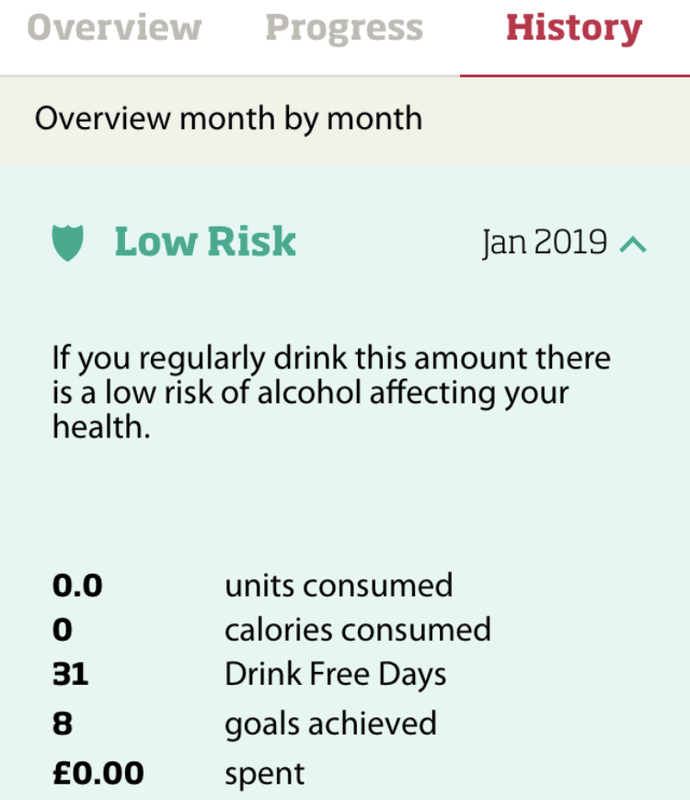 The ‘Drinkers Like Me’ document changed my attitude towards alcohol dramatically and ‘Dry January’ has taken it a step further. However, I don’t want to drift into righteousness and I will make a point about not preaching to others. That’s because whilst I have had my fair share of disasters and bouts of mild depression that are undeniably linked to booze, I have had some great fun too. Some of my best memories revolve around boozy holidays and parties, as well as enjoying a few pints with all the cricket folk and my oldest pals. I don’t want to lose that. What is really apparent is the fact that I am not gagging to go out for a drink at the weekend. I thought I would be virtually kicking the pub door down to get at some beer, or at least heading straight for Sainsbury’s wine aisle. Hand on heart the desire just isn’t there. What is also apparent is that up until last September, I had a daily habit that I thought was acceptable because I was very rarely drunk. I assumed that 2-3 pints a day or a few glasses of wine were normal behaviour that didn’t affect my health. I achieved this by lying to myself about my intake. It was only when I started having dry days I realised how much it affected my general well-being. It caused occasional dark moods during more excessive periods at weekends and often made my Monday’s less productive. I do my weekly wages about twice as quick with a clear head. This January has been my longest period of abstinence from booze since 1987. September, October and November were months where I had at least 14 days of abstinence, easily my driest periods in my adult life. That’s quite shocking really. Imagine if I was talking about cocaine and not alcohol. It’s all drugs; it’s only the legality of it that makes the difference. I will booze again because I like it. However, my attitude towards it has changed completely and I am as certain as I can be that the daily drinking habit is behind me. I guess have got Adrian Chiles to thank for that; of all the people to get me to change my habits, I wouldn’t have thought it was a podgy West Brom fan with a curiosity about his well-being. That’s because I was a drinker like him. You can watch drinkers like me by clicking the link below. No Replies to "A Month Without Booze!" Spurs Fail to Deliver Last Minute Catastrophe! Drinkers Like Me – A Six Month Review! Jesus Sends Nigel to Rescue Brexit!